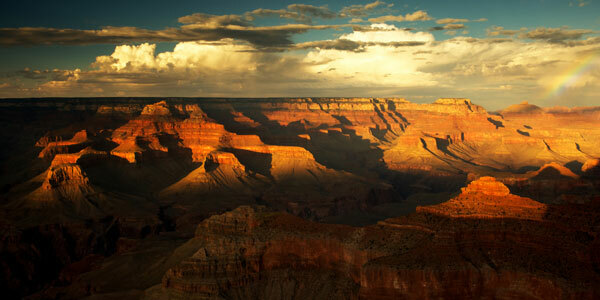 The rugged beauty of Arizona's Rim Country awaits you on this three-day package. Leave the bustling city behind for ancient ruins, radiant red rock formations, and the awesome expanse of the Grand Canyon. Redstone tours and the Arabella Sedona Hotel have teamed up to create a romantic Sedona / Grand Canyon Package. The Arabella Sedona Hotel is centrally located and within walking distance to shops, restaurants and Sedona's gallery district. Tour upgrades or additional nights are based on availability and an additional cost. Cancellation Policy: 7 day prior cancellation notice in order to receive refund, no exceptions. Credit cards are charged at time of booking. Please consider purchasing travel insurance as our cancellation policy is strictly enforced. Luggage Policy: One standard size suitcase and one carry-on bag per person ONLY. This policy is strictly enforced. Space is at a premium for guest comfort. Extra luggage cannot be transported.